What coloured plates should I use? Do I need a pinata? What kinds of food should I be serving? Asking yourself ten different specific questions won’t make you a better party planner. It will only stress you out and before you know it, you’re already pulling your hair out trying to piece something together! 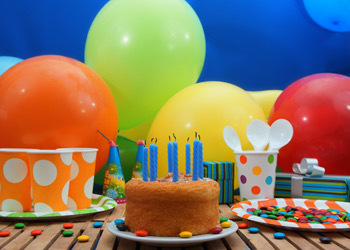 Birthday party planning doesn’t have to be overwhelming. The key is to think of it as a whole instead of in parts. In short, start with a theme. When you realise what theme you should go with, it’s easier to answer anything from “What kind of entertainment should I hire?” to “What colour scheme is best?”. Nailing down your theme helps you build the party from one central idea. Want a superhero theme? You should probably pick the iconic blue and red colours. Want a pirate theme? You probably need to swing by the toy store for some pirate flags. 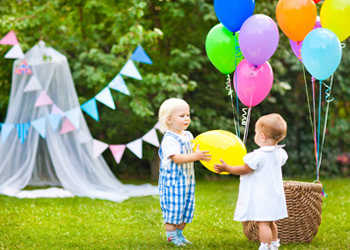 Having a theme gives you complete focus on what to include (and what to ignore) during the birthday party planning process. It makes it easier to say yes to relevant things, and no to mere distractions. Are you hosting the party indoors or outdoors? Are you doing it at home or somewhere else? 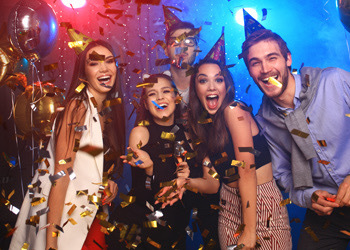 The key to selecting a great party venue is by making sure it coincides with the theme, the celebrants’ personality, and the guest list. Setting up a kids’ birthday party at a fancy restaurant might be a flop, in the same way that celebrating your grandma’s 60th birthday party at a pizza parlour may be lacklustre. Certain celebrations call for certain types of food. A lot of food preparations have to do with the nature of the birthday. If you’re going for something formal, guests will expect a full lunch or dinner, preferably buffet style. If you’re throwing a surprise party for your teen, you can get away with a couple boxes of pizza and some Chinese take out. With social media at its peak, it’s likely that you have ditched physical invitations for online invites. If so, design a cute infographic with the time and date and share it with your guest list. Want something a little more traditional? Come back to your theme to decide what kind of design you want to put on your invitation. As for formal birthday parties, sometimes less is more. An elegant colour scheme, nice typography can be all you need to create a great invitation card. What kind of party doesn’t have these three? If you thought balloons are only for kids’ birthday parties, think again. There are a hundred different ways to make balloons less “kiddy” and more appropriate for the birthday you’re throwing, whatever your theme may be. For starters, you can swap printed balloons for custom-print ones (to fit your theme) or something plain. Swap out the ribbons and plastic sticks for a natural material like jute or even just a nylon string. Think latex balloons aren’t a good fit? Consider classy but fun foil balloons to decorate your party with! We’re talking about placemats, coasters, cutlery, cups and plates, and just about everything that your guests will use. The table setting is a crucial part of your decor. You want something that’s both functional as it is ornamental. Hint: you can never go wrong with silverware! Yup, even the party favours count as decor in our book. You threw an amazing party, gave the guests an amazing experience, so why not let them go home with equally amazing giveaways? 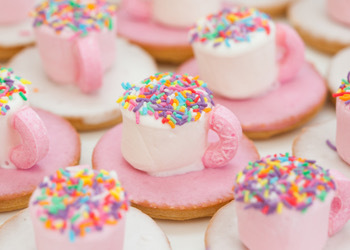 Party favours make your birthday party extra memorable. 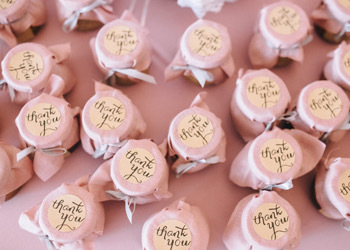 Put a lot of love in your giveaways and your guests are sure to treasure them for years to come! Let us help you with your birthday party needs. 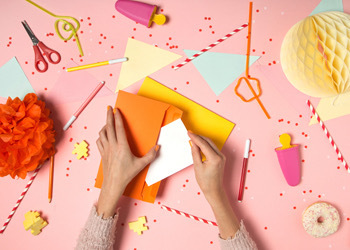 Is birthday party planning stressing you out? Don’t worry! Specialty Balloon Printers is here to help you pick the perfect balloons for your party. Shop from our online catalogue and choose from a wide selection of printed, latex, foil, and custom-made balloons. With fast and reliable deliveries and complimentary shipping for orders over $50, there’s a reason why we’re Australia’s favourite balloon supplier!